Notifications are a great way to make users aware of the situation that require timely action or attention. This could be an information of an event which just occurred or could be a workflow task which requires immediate attention. One of the most awaited features of Fiori 2.0 is the Notification centre. This was initially introduced as part of S4HANA 1610 release. Since then, I have had several customers enquire about Fiori 2.0 and it availability on the Cloud Platform. SAP Fiori Launchpad which is also delivered in the Cloud is actually an instance of the Cloud Portal. It was only early this year, the Fiori Launchpad in the cloud was enabled with Fiori 2.0 concepts. 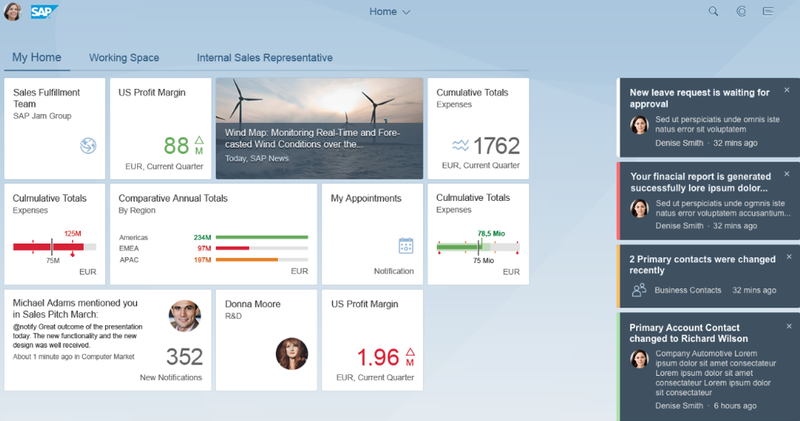 Customers who are already using Fiori Launchpad in the cloud, can now easily switch to a Fiori Launchpad which is now based on Fiori 2.0 concepts. All it requires is selecting an Innovation SAPUI5 version within the Portal site settings. It’s that easy – You don’t need to upgrade or patch your backed system for this. You can straight away get to see the Belize theme with the new look of the Launchpad. In the next update, integration of SAP Menu within the App finder was introduced in the Fiori Launchpad. I have already posted a blog on this topic. In this blog, I am going to share few simple steps for a Cloud Platform administrator to enable the Notification center. 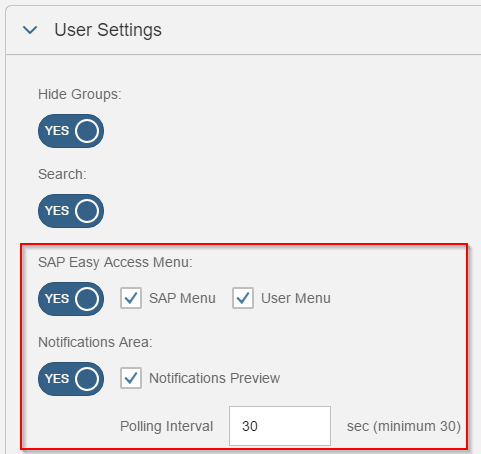 You have the option to enable SAP Easy Access Menu as well as the Notification Area. You can select if you want to have the Notification preview and also the polling interval to fetch new notifications. In the Cloud Platform Destinations, you need to add a destination which refers to the Notification Hub. This is the SAP Gateway system which has been configured as a Notification hub. In my example, I have configured my gateway system SM5/920 to act as a Notification hub. A cloud connector needs to be setup on your premise which exposes the resources of the SAP Gateway system to the Cloud platform account. 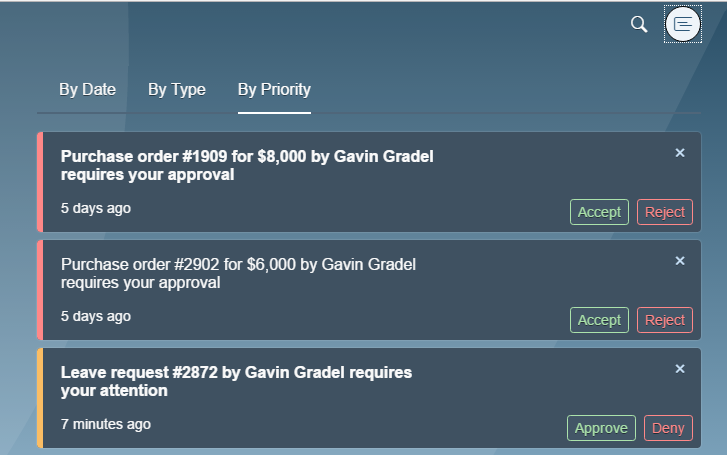 The cloud connector needs to be active and running to support the Notification center in the Fiori Launchpad. There are lot of how-to-guides which show you how to configure the cloud connector. You would need to do the same configurations as stated in her blog. In an on-premise implementation, the Gateway system would serve the Fiori Launchpad and also play the role of a Notification hub. With the Cloud Platform, the Fiori Launchpad is now available in the cloud and hence you don’t need to create a Launchpad Configuration file. You would only need to configure your SAP Gateway as a Notification Hub. 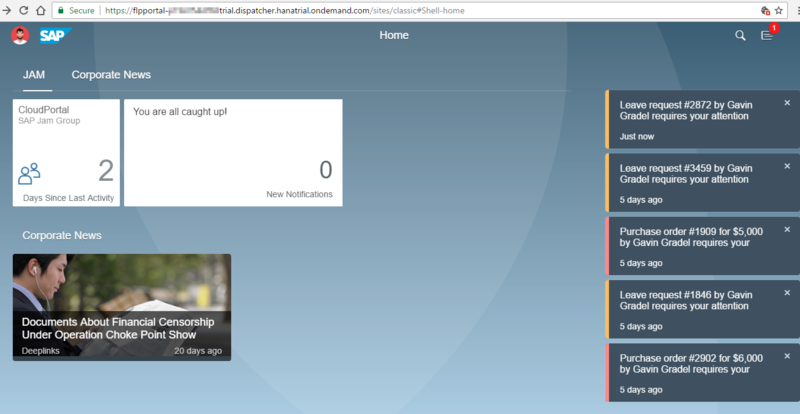 Below is a screenshot of the Fiori Launchpad on Cloud Platform after turning on the Notification center. The features and options available within the Notification center is exactly the same as the one available in the on-premise SAP Gateway system. You can now click on the Notification center icon and view the items by priority/Data/type and actions them. Nice blog. Murali. I have 2 questions on my mind. First, I’ve read some SAP notes which suggest that UI5 1.44 will be designated a ‘stable’ release. Will we soon see that reflected in the cloud portal site settings/FCC, with both 1.38 and 1.44 available as supported stable versions? Many customers won’t want their prod portals on ‘innovation’ and choosing 1.44x as a custom choice is ‘not supported’. Second, if customers have gone down the OData Provisioning route they won’t have a gateway hub. Should they just use ECC as notification hub? Or will SAP Cloud Platform take on this role? With regard to the use of OData Provisioning playing the role of Notification hub, this is currently in the roadmap. In the future, customers would be able to connect various backend systems to OData Provisioning service to provide notifications. Nice blog Murali, good to see some detail behind the functionality options. Will be great to see this functionality in SCP eventually, not just available to customers with SAP gateway. Can’t wait to set this up for an end customer. Great Blog as always!! Can we use GWaaS as well instead of on-prem GW as the notification hub ? I think this is in the roadmap. Hi Murali, Nice blog! I think my point is quite similar to the previous comment by Parag and I am not sure if things have changed since then. Is there a way to configure SCP Workflow based notifications to appear in FLP notification area? Is there any news about GWAAS for notifications? Very informative and great blog!!! Is there anyway that i can configure a custom OData service which provides the notification?. Is this feature available in the on-premise Fiori Launchpad? How can we achieve this where in the situation like where we use UI5 , Hana as back-end, and xsodata service are being used? I have the same requirement to push the notification on the FLP. But we are not using ABAP . I would also need notifications to be pushed from hana cloud instance. Hi Murali! I’ve configured the Notification Hub, Destination and Cloud Connector..but i don´t see where i have to tell the Notification Hub that the notifications must be sent to the SCP and not to the On premise Launchpad…where i have to set that? I could not find any additional blog or post related to configure Notifications in SCP.